In 1959, Barbie Millicent Roberts made her worldwide debut, and the world of toys has never been the same. For Barbie’s legendary contribution to toy and pop culture, she is inducted into the Pop Culture Hall of Fame. The Barbie doll bucked the trend of plush toys and porcelain dolls to create a playable, realistic icon. At first, Barbie was considered a “fashion doll,” very glamorous and beautiful but without. Girls could pretend to share her fabulous lifestyle, but more potential was around the corner. Originally intended for teenage girls to play with, Mattel discovered that their audience skewed much younger, to an age that still dreamed of being a teenager. With that power of imagination and possibility, Barbie’s potential took off as well. No longer a typical teenager, she could be portrayed as a doctor, a vet, an astronaut, or as the participant in hundreds of other occupations and pastimes. Barbie has driven some amazing cars over the years, getting the attention of male collectors. An Austin Healy roadster, several generations of Corvettes, a Rolls Royce, a giant GM camper and several others. Her various playsets such the Friendship airliner or her Dreamhouse have become highly collectible. In the 1990s, Barbie took on a heightened status as a collecitible toy with the special edition Holliday dolls. The limited edition dolls were hard to find in stores, and prices escalated quickly. But she would get back to her toy-like roots soon enough. More recently, Barbie has taken a more inclusive attitude towards body shapes and ethnicity, resulting in a cast of more diverse characters. 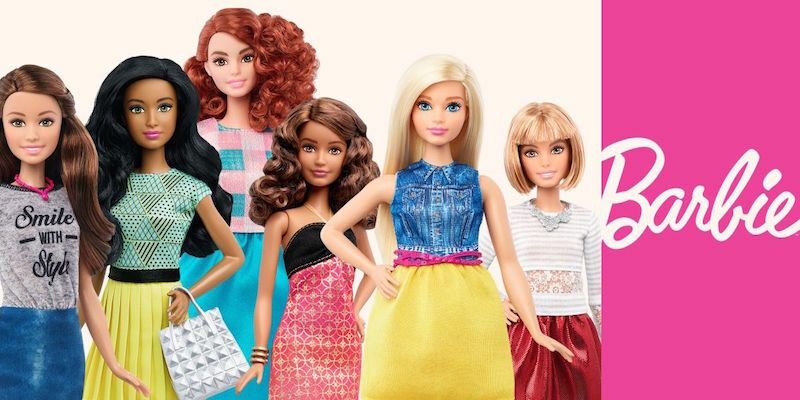 As she approaches her 60th birthday, Barbie has the same appeal to girls everywhere.